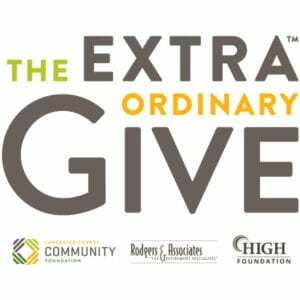 Thank you to all who participated in the 2018 ExtraOrdinary Day of Giving! Thank you to Everence our 2018 business sponsor (click on their logo below to learn more)! There are still matching funds available, so if you would like to make a contribution toward the Summer Camp Expansion and have your gift matched click here to make a donation today. $50,000 of matching funds available! This year, gifts of $25 or more will be matched until $50,000 is unlocked!! These matched gifts will be used for the Summer Camp Expansion project which is providing additional space for children like Jennene and Heaven to experience a life-changing week of camp. You can make an EXTRAORDINARY difference in the life of a child!! Have you seen the video of Jennene and Heaven? Click here to watch now. Have you heard the testimony of their mom? Click here to watch now.